Gambling might be defined as taking a risk in hopes of winning, but gambling also, at least in our culture, often includes games of chance as well. Several cult-TV shows across the decades have involved stories with main characters gambling, and either winning or losing big. 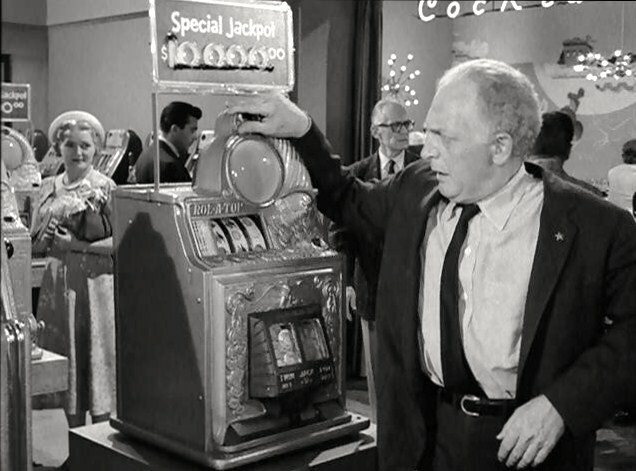 In 1960, an early episode of Rod Serling's The Twilight Zone (1959-1964) called "The Fever" focuses on the addictive aspect of gambling. A man named Franklin (Everett Sloane) is against gambling until he starts working one particular slot-machine. That slot machine soon proves sentient, and stalks Franklin, demanding to be "fed" with more coins. 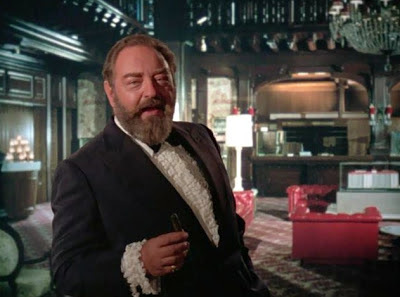 The Ghost Story (1972) episode "Time of Terror" is set at a casino and involves a married woman, Ellen Alexander (Patricia Neal), who wakes up in a strange hotel and learns that her number has been called in a game of "Keno." She has drawn a losing number, or a winning one? 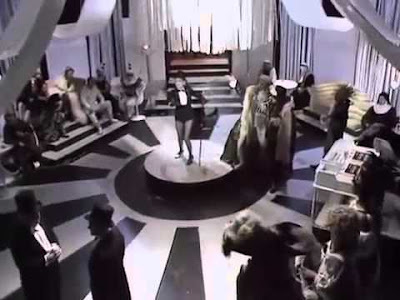 In the British series Blake's 7 (1978-1981), an episode called "Gambit" finds the crew of the Liberator visiting Freedom City, a neutral site dominated by brothels, bars, and casinos. There, at the Big Wheel Casino run by a proprietor named Krantor (Aubrey Woods) Avon (Paul Darrow) and Vila Michael Keating) -- with the help of super computer Orac -- attempt to break the bank. 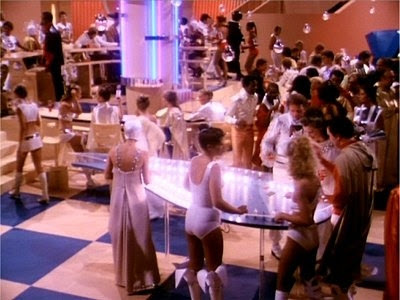 The Buck Rogers in the 25th Century (1979-1981) episode "Vegas in Space" is also set at a futuristic casino in the gambling city called Sinoloa. 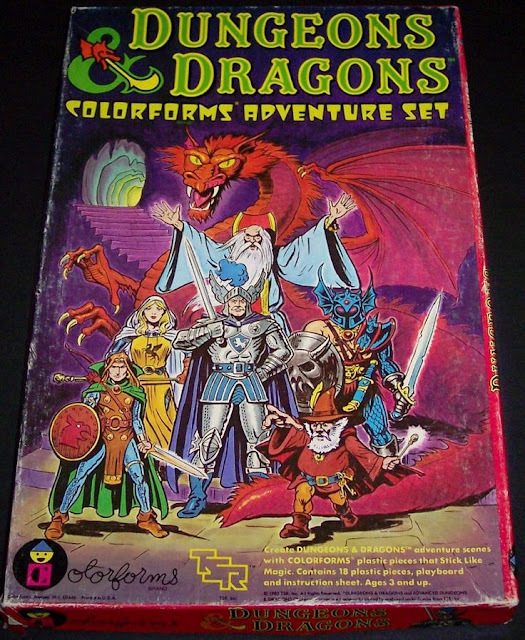 There, after playing several computerized games, Buck (Gil Gerard) attempts to break out a prisoner who has secret knowledge regarding Draconian hatchet fighters. 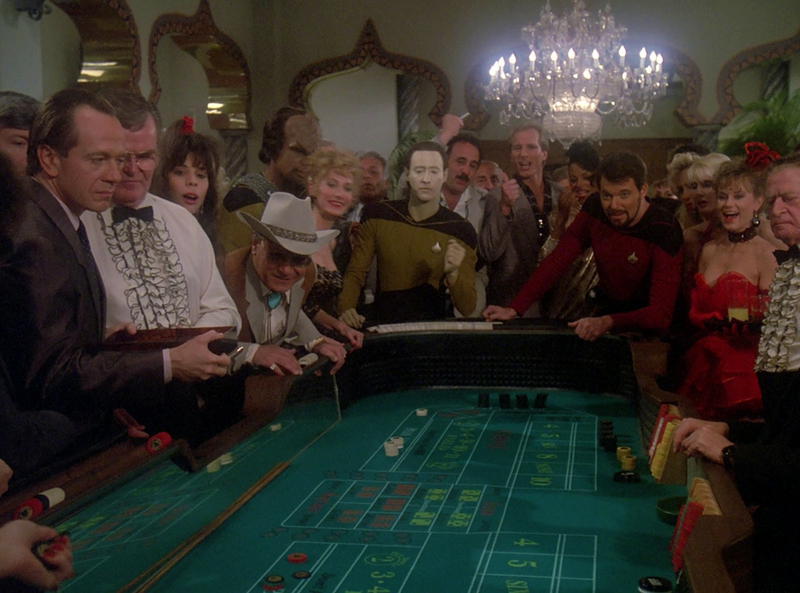 In Star Trek: The Next Generation (1987-1994), the weekly poker game is a recurring venue for gambling. But another episode "The Royale," is set on an alien world and features a (bad) novel come to life. Its setting, the Royale! 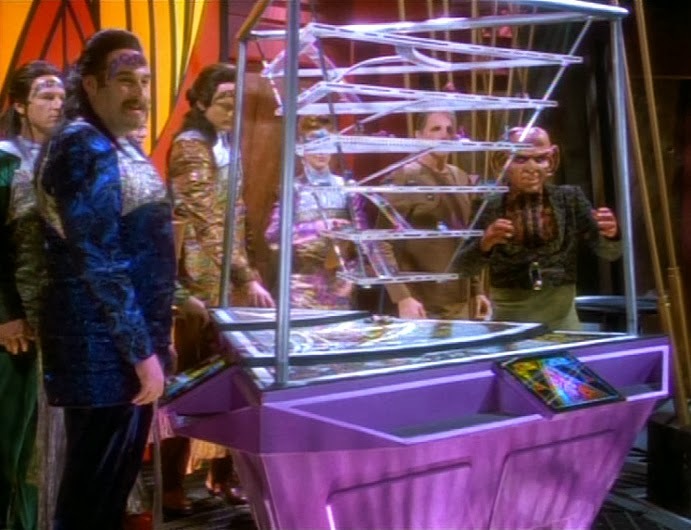 In Star Trek: Deep Space Nine (1993 - 1999), Quark's Bar is a destination for gamblers, although the games aren't always fair, as episodes such as "Move Along Home" point out.